As every year, the annual Deakin EnviroBall function is the perfect opportunity for everyone associated with Environmental Science at Deakin to catch up and celebrate as another year draws to a close. All are welcome – from current students and staff to HDRs and alumni. Tickets are on sale NOW and ticket sales will close Friday, August 7. 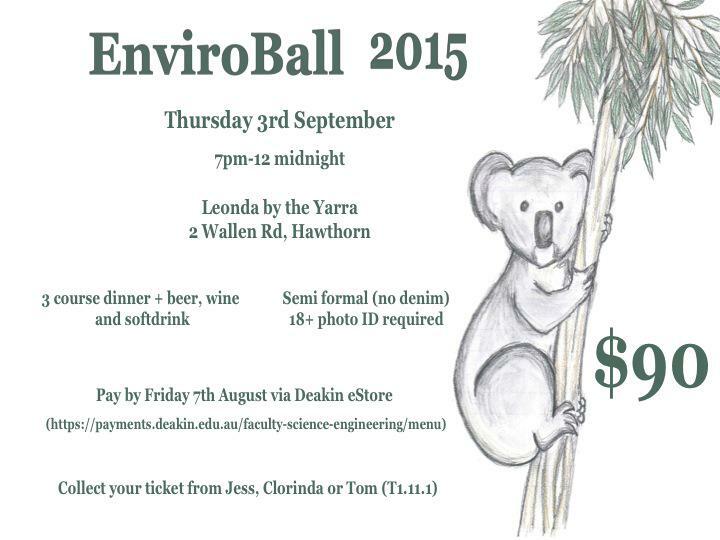 To purchase a ticket please go to Deakin eStore. Please feel free to pass this invitation onto other past or current enviro students you may be in contact with.